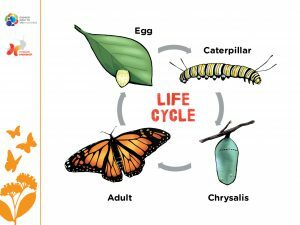 The learning situation consists in an introduction to the biology of the monarch butterfly and its host plant, milkweed, followed by an actual «mission» in the field. 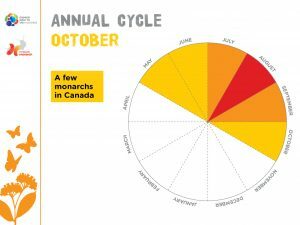 This activity can be held from the beginning of June to the beginning of October, when monarchs are around. The education kit includes the teacher’s guide, the student’s booklet, a visual support (PowerPoint format), a field observation form and identification guides. It is made for the second cycle of elementary school. 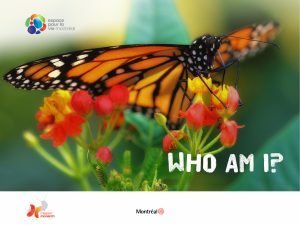 Thank you for your interest in the Mission Monarch project and the monarch itself! People like you make it possible to identify the breeding habitat of this beautiful at risk butterfly to better protect it.